The spice is nice, and so, as it turns out, is the cast of Denis Villeneuve’s Dune, which has been a real cavalcade of “Yeah, that makes sense” picks from the Arrival director. 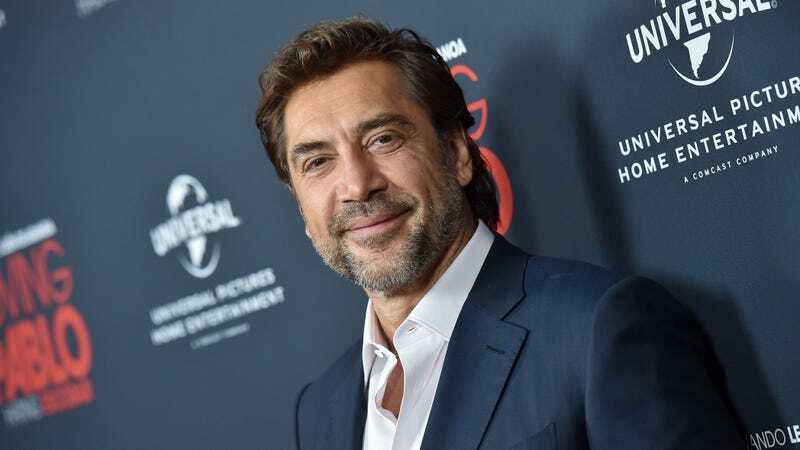 Now, Deadline is reporting that Javier Bardem is signing on for a job on the arid hell-world of Arrakis, joining a cast that includes Timothée Chalamet, Stellan Skarsgård, Dave Bautista, and (reportedly) Oscar Isaac. Bardem will apparently be playing Stilgar, one of like eight fatherly mentor figures who help young Paul Atreides on his way to becoming the galactically powerful Muad’Dib. Stilgar is the leader of a community of the Fremen, the nomadic natives of Dune, who survive on the desert planet through a mixture of hardiness, sandworm skills, and a practical attitude toward drinking their own recycled piss. Everett McGill played the part in David Lynch’s adaptation of the Frank Herbert novel, but we can totally see Bardem, stoned-faced, taking on the role, watching as Chalamet’s Paul takes his first sip from his stillsuit’s water reclamation tube. Is there a slight twinkle in his eyes, the merest twitch of a smile as his future messiah takes his first swig? Damn, we’re excited for these movies.